Scratchy Seashell Crab Anchor Trio - 4 Sizes! 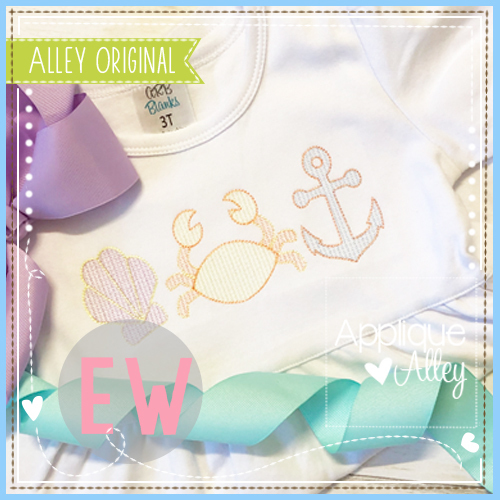 Anchor Trio Vintage Stitch Applique - 4 Sizes! Mini Scratchy Sea Friends - 3 Sizes! Scratchy Pelican Lighthouse Trio - 4 Sizes! Finish Size 3.81" X 1.46"
Finish Size 3.42" X 8.96"
Finish Size 7.69" X 2.94"